Kia ora everyone. I hope you've all had a great week. It's been another busy one here, as we gear up to finally present the inaugural Ngaio Marsh Award for Best Crime Novel (only ten days to go now!). For those in or around the Canterbury region, I do urge you to come along to Whodunnit and Whowunnit? on 30 November. It will be a fun night - more low key than the festival event would have been, but very enjoyable nonetheless. If you do come along, feel free to come up and say hi. As you'll be aware, I'm more than happy to chat to anyone about crime fiction, especially the terrific and overlooked stuff we have here in New Zealand. Once again there have been some more great crime fiction stories on the Internet this past week - from newspapers, magazines, and several of my fellow bloggers. As usual, I've listed a few that have caught my eye below. Hopefully you will all find an interesting article or post or two linked here, that you enjoy reading. Margaret Cannon of Canada's Globe and Mail gives another great round-up of some interesting new mystery titles, including SHE FELT NO PAIN, the latest Holly Martin novel from Ngaio Marsh Award judge Lou Allin (way to go Lou!). The always-entertaining Ali Karim shares his second extensive post-mortem on the recent Bouchercon festivities - 'It's all about friendships' - on The Rap Sheet (part one, part two). Renowned writer, editor and crime fiction aficianado Maxim Jakubowski talked about the importance of setting in crime fiction, and listed his ten favourite settings and novels that evoked them most distinctively, in an intriguing article for The Guardian. 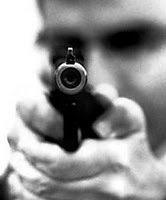 You can also join the discussion about the article and other great crime fiction settings here. The New Jersey Star-Ledger has a Q&A with acclaimed crime writer Dennis Lehane, while Lehane's latest novel MOONLIGHT MILE is reviewed in The Philadelphia Enquirer, the Seattle Times, and the Dubluque Telegraph Herald, amongst others. Movie Geeks takes a look at INTERIORS, a documentary about murderess turned historical mystery writer Anne Perry, who is fairly well-known in New Zealand because of her pre-writing life, that showed at the St Louis International Film Festival this past week. The Mystery Writers of America names the legendary Sarah Paretsky as the deserved recipient of its next Grand Master Award. While it's getting sunny here in New Zealand (and for our neighbours in Australia), the winter weather is rapidly approaching for our northern hemisphere friends. Vit Wagner of The Toronto Star takes a look at ten books to curl up with by the fire, including a "short but informative biography" of Stieg Larsson by one of his closest friends. Gail Pennington of the St Louis Post-Dispatch takes a look at new books 'written' by fictional TV characters from a variety of popular TV shows, including the very successful Nikki Heat novels by titular crime writer 'Richard Castle' - harkening back to the days of the 'Jessica Fletcher' mysteries inspired by Murder She Wrote. What do you think of this week's round-up? Which articles caught your eye? Have you read any of Ngaio Marsh Award judge Lou Allin's acclaimed mysteries? What do you think of the latest Lehane? Of the 'Richard Castle' books? What fictional TV characters/writers would you like to see books from (my personal fave would have to be 'Robin' from Magnum PI - how cool would it have been to have some books out by a character that was always present but never seen in such a popular and long-repeated show?) Thoughts welcome.